I enjoy cooking, it’s all the dishes afterward I dread. If I could magically snap my fingers and make them wash and put themselves away I’d be the happiest woman EVER. 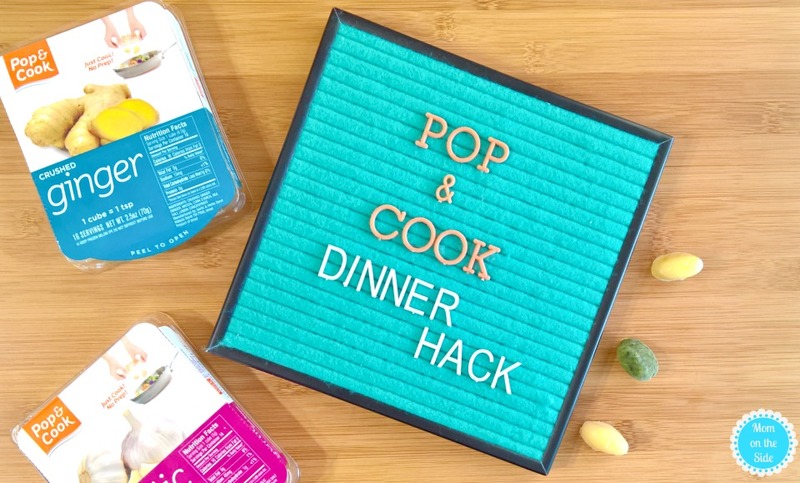 While I can’t do that, Pop & Cook is helping busy moms snap their fingers on dinner prep Pop & Cook, the herb cooking hack you want in your kitchen. Get delicious meals on the table without washing, chopping, or peeling fresh herbs. Think ginger, basil, garlic, cilantro, and onions at peak freshness with all the work done for you. 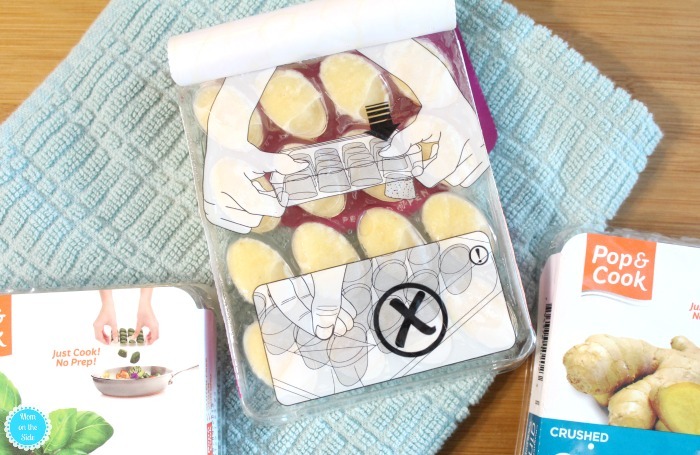 Pop & Cook pulls products from the fields, processes, and flash freezes them into convenient trays within 90 minutes of harvest. The ginger smelled SO good when I popped it into the pan with the shrimp. With a two-year shelf life, you can have fresh garlic, onions, and herbs year round! The twins love helping in the kitchen, but I have yet to give them sharp knives. 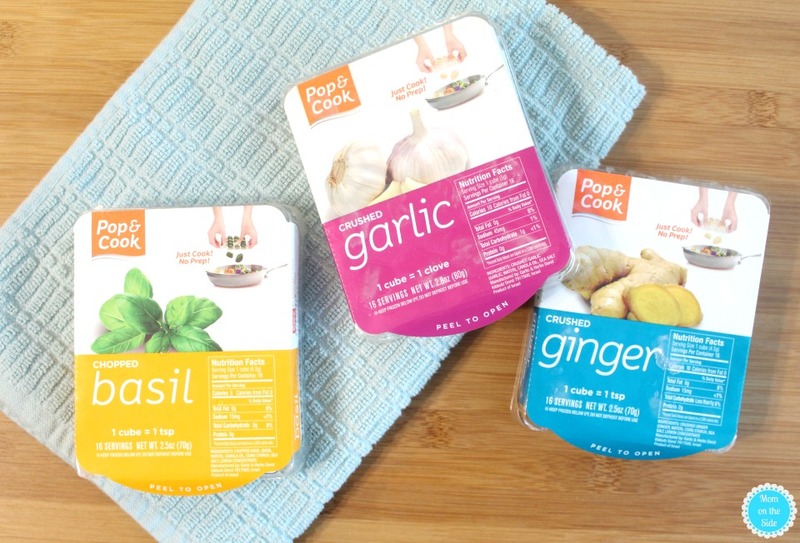 They are usually limited to stirring and pouring but with Pop & Cook they can help in a new way. 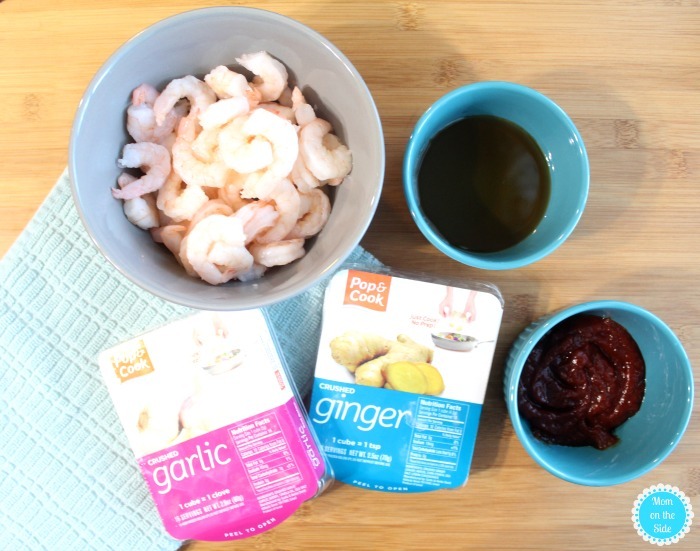 Popping instead of chopping is my new favorite busy mom hack and has me flavoring dishes in new ways, like Honey Ginger Shrimp that even had my husband munching on a few. He’s not a big shrimp fan so that was shocking, in a good way. 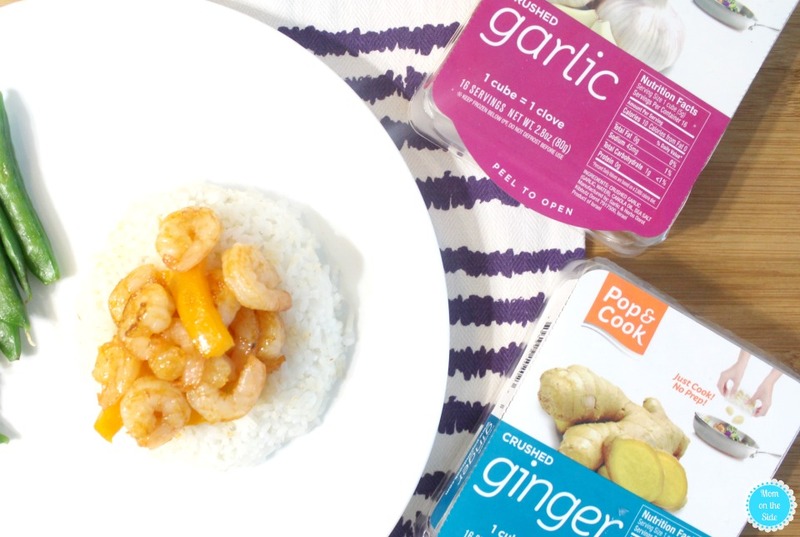 Pick up Pop & Cook exclusively at your local Walmart and give this Honey Ginger Shrimp a try! Mix together honey and chili sauce in a bowl. Add in shrimp and toss to coat. Heat olive oil in a pan on the stove over medium-high heat. When heated add shrimp to the pan. Pop in 1 cube of ginger and 1 cube of garlic and continue cooking for 10-15 minutes. At this point you may remember that orange bell peppers were on sale at the store and the one you picked up might be tasty in this dish. If you do, you’ll cut it up and add some slices and it will be delicious. 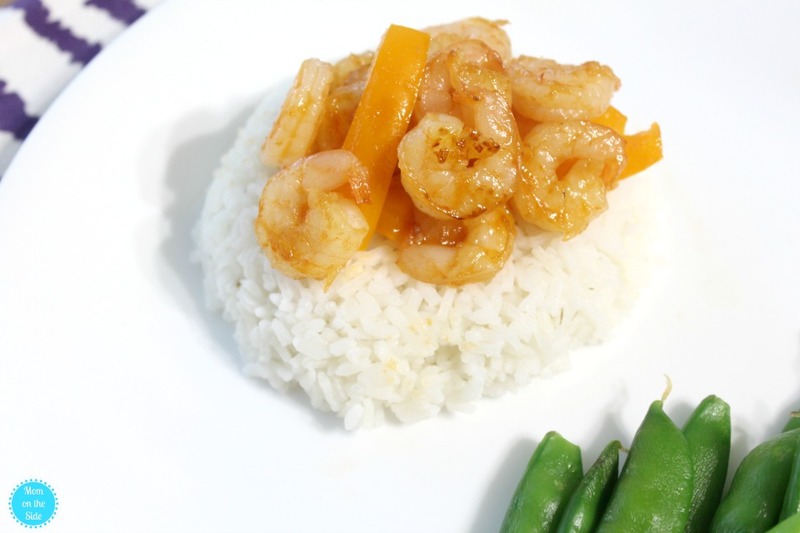 I served our Honey Ginger Shrimp on white rice with a side of steamed snow peas. The flavor of the shrimp needed nothing else and would be good skewered up as an appetizer too!